Woot woot! Am I the only one excited here? Anyone? *Crickets* Anyone? 15 Jun	This entry was published on 15/06/2011 at 10:06 PM. 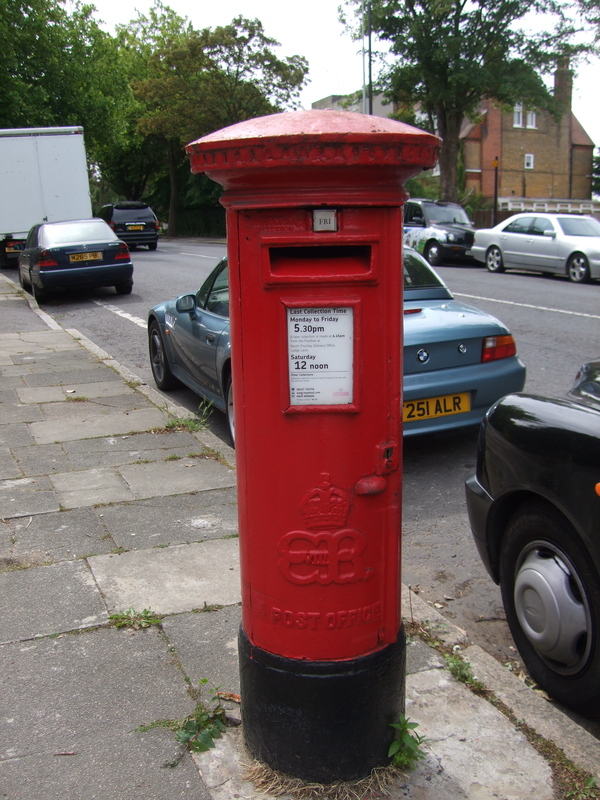 It’s filed under London and tagged history, London, postboxes. Bookmark the permalink. Follow any comments here with the RSS feed for this post. I had no idea!! That is so cool! I’m definitely going to be on the lookout for one everywhere I go know. I love stuff like that! 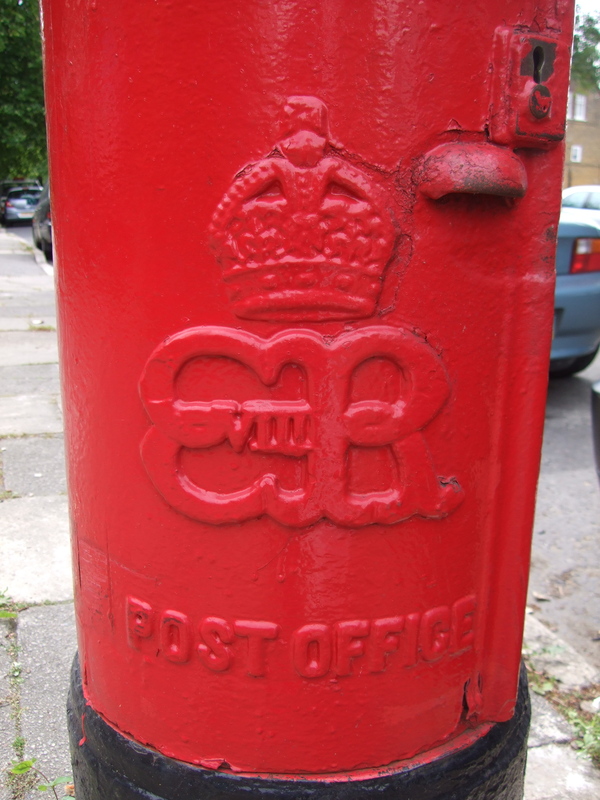 My husband and I have been taking photos of postboxes, one of each monarch since Queen Victoria. It’s a fun, dorky game. Yeah, i agree with everyone else, that *is* pretty awesome!